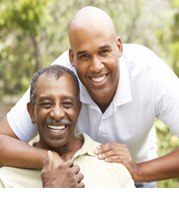 When you have an Elderly or Senior loved one who has had a heart attack, strict prevention of a recurrent heart attack should be the main focus when your loved one is back at home from the hospital, whether it’s tighter control over a pre-existing medical condition or making lifestyle changes such as quitting smoking, eating healthier or getting in more daily exercise. A Myocardinal Infarction, better known as heart attack, usually occurs when plaque buildup in a coronary artery ultimately leads to blood clotting that cuts off the blood supply to a part of the heart tissue, damaging and killing heart cells. Heart attacks survivors have weaker hearts because the injured heart tissue isn’t able to conduct electrical impulses as quickly as normal heart tissue. When your loved one is back at home from the hospital, it is important to prevent future complications such as recurrent heart attack, heart failure, aneurysm of the myocardium, mitral regurgitation, ventricular fibrillation, and atrial fibrillation. 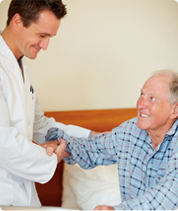 A-1 Home Care understands that it may be difficult for you to find time to provide dedicated in-home care for your loved one. We provide compassionate and experienced caregivers for Heart Attack Care on a 24 hour Live-In Care or Hourly Care basis in Costa Mesa, CA. Our caregivers can provide living assistance in all areas such as personal hygiene management, healthy meal preparation, assistance with daily errands, medication reminders, and assistance with a daily exercise routine. All of our compassionate Heart Attack caregivers, nurse aides, companions, and home helpers must have at least 2 years of prior at home caregiving experience, verifiable professional references, a National Background Check/DMV Check, Tuberculosis testing, Malpractice/Liability insurance, First Aid/CPR training, and a personal interview with our office staff. We serve the OC communities of Costa Mesa, Irvine, Tustin, Laguna Beach, Corona Del Mar, Newport Beach, Fountain Valley, Westminster, Huntington Beach, Seal Beach, Los Alamitos, Garden Grove, Villa Park, Buena Park, La Mirada, Anaheim hills, Fullerton, Yorba Linda, and others in Orange County. 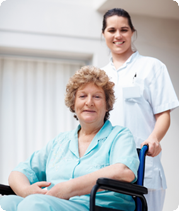 To interview and hire a compassionate caregiver in your area, CALL us at 949-650-3800 for a FREE in-home assessment.